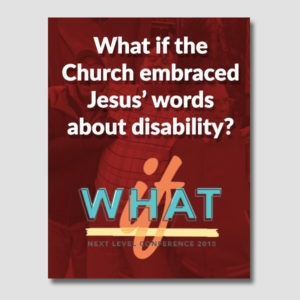 People with intellectual and developmental disabilities are an uncomfortable subject for many churches. We simply do not know how to effectively minister to them. Some churches actually discourage attendance of people with these special needs. I became interested in people with special needs in 1997 when our older son’s first daughter, Carrie, was born with Angelman Syndrome. Because I had virtually no experience working with people with developmental disabilities, I became part of the Special Olympics in Yuma, Arizona. This helped to dispel my uneasiness at working with people with developmental issues. This continued from Spring 2009 to the Summer of 2010. Then we moved to Granbury, Texas to be near both our sons and their families. Carrie lives in Granbury. There is a school in Granbury, Lake Pointe Academy, that specializes in ministering to children with developmental differences. I became familiar with the director and some of the teachers. 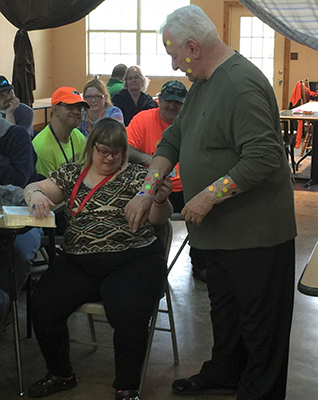 One day in the Spring of 2015, the idea of starting a church centered around people with special needs came up in a conversation with one of the teachers. It took about a year before we moved on it in earnest, but in the Spring of 2016, the school director, Madalyn Cano, her assistant, Paula Prater, and I began planning. One of the first things we did was to survey all the pastors in our area to identify what they were already doing and find areas where they might want help. Out of about 60 pastors surveyed, only three responded and they weren’t interested! We also surveyed the public in our area online. People were notified of the survey through a newspaper ad. Those on our mailing lists were notified by e-mail. Again, the results were disappointing with only 13 people responding. No useful information was gleaned from either survey. Madalyn had worked with one of the local pastors, Pastor Lonnie Lehrman of Granbury Baptist Church (GBC), on a previous project, so we decided to talk with him about how we might proceed. He jumped on the idea and said his congregation could use a ministry to people with special needs. We met several times to plan with Lonnie and Administrative Pastor Shawn Lutgen. A retired special needs teacher worked with us early on but couldn’t continue for health reasons. Our original thinking was to provide a Sunday school class and then to have the people join us in the worship service. This plan had to be set aside temporarily due to a lack of a suitable room for a new class. There was some discussion about providing the ministry to people with special needs in the evening in parallel with our evening worship service. During this planning process, we met with the leadership of Southern Concepts, an organization that houses and cares for many people with special needs here in Hood County. They operate nine group homes and have a DayHab program during the weekdays where the people who are not in school or working congregate for fellowship and training. 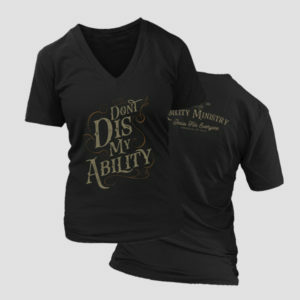 We have been greatly helped in our planning by Ryan Wolfe, President of Ability Ministry. We got connected with him about a year before we launched. His insight, help, prayers, and encouragement were invaluable. We set a launch date of late March 2018 and began to recruit workers; however, this was put off. We got within a week of launching and had only one worker – me! We called it off and I was quite discouraged. Then, during the worship service on Easter Sunday, I felt as if God was telling me to go ahead and start, even if I was the only worker. I took Him seriously and made plans to start. Fortunately, my wife Joannie came alongside, even though she teaches at another church. We launched on Tuesday, May 29, 2018 and have been meeting since. Our meeting is a time of worship and Bible study with lots of singing and fun activities. When asked what we do, the simplest way to describe it is “children’s church for adults”. Our meeting is a time of worship and Bible study with lots of singing and fun activities. When we started, we were using another series as our literature; however, we abandoned this after about six weeks because it did not fit the Club. We spent a lot of time preparing posters, etc. About a month into the program, we made an appeal to our prayer warriors and our congregation for the donation of either a high-intensity digital projector or a large screen digital TV. Within a week, one of the Sunday school teachers at GBC had donated the TV. This made it possible for us to provide PowerPoint slides to make the lessons more interesting. At the same time, we began using teaching series from Ability Ministry. Each of these series includes four or five PowerPoint presentations, which makes our preparation time much easier and quicker. Because these series are in PowerPoint, it is relatively easy to tailor them to our specific needs. We also integrate songs and videos from the Internet. Our biggest hurdle was and continues to be recruiting people to work with people who have developmental differences. We have a few individuals who serve on a regular basis, however, we have been unsuccessful in acquiring additional regular helpers. Some are unsure how they would function in this environment. Many of our potential workers are retired and feel they have “done their part”. I suffered from both of these feelings at points along the way. My uneasiness about how I’d function was partially assuaged by the time I spent with Special Olympics and partly as we began the Club. I found the members to be loving and fun to be around. I was surprised at how many of them had already put their trust in our Lord and Savior Jesus Christ. Several of them also had solid biblical foundations. Another church in the county, Lakeside Baptist Church, recently heard about this ministry and wanted to get involved. A number of their ladies, under the leadership of Director of Community Outreach Kelly Randles, prepared Christmas gift bags to be given to the staff of the DayHab as a thank-you for their gracious help. Looking toward the future, Granbury Baptist is building a new worship center. 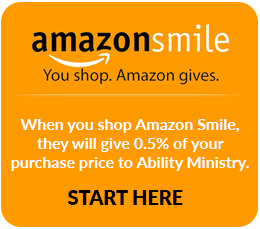 This will free up considerable space, some of which can be devoted to the Special Needs ministry. It is our hope that we will then be able to service the Sunday morning needs of both adults and children with developmental issues. 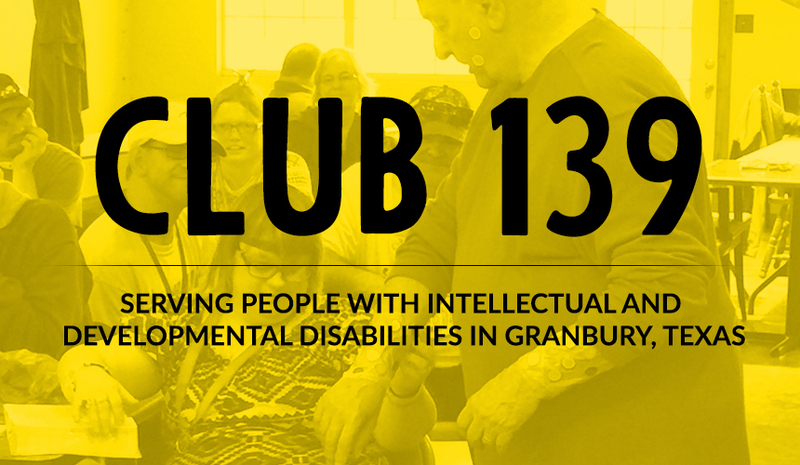 Fred Orcutt is a coordinator and servant at Granbury Baptist Church Special Needs Ministry, leading Club 139, ministering to individuals with intellectual and developmental disabilities. Yes, this is awesome! I know God has a massive plan for all of this and how is it to come together. 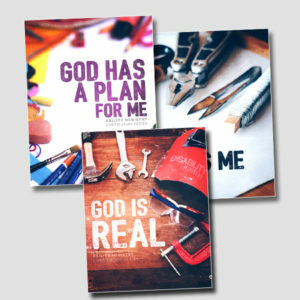 Lets continue to meet regularly to pray about God’s plan for each of us and the future of all the ministry needs.